What is this part called? I'm not sure this is the right place to be asking this but I'll give it a try. I have this bit of hardware from a pair of helping hands that I'd like to find more of. I'd describe it as a rod fastener of some sort. Not having any luck with those search terms however. Perhaps someone here has the proper name. Thanks in advance. Browse other questions tagged screws fastener or ask your own question. 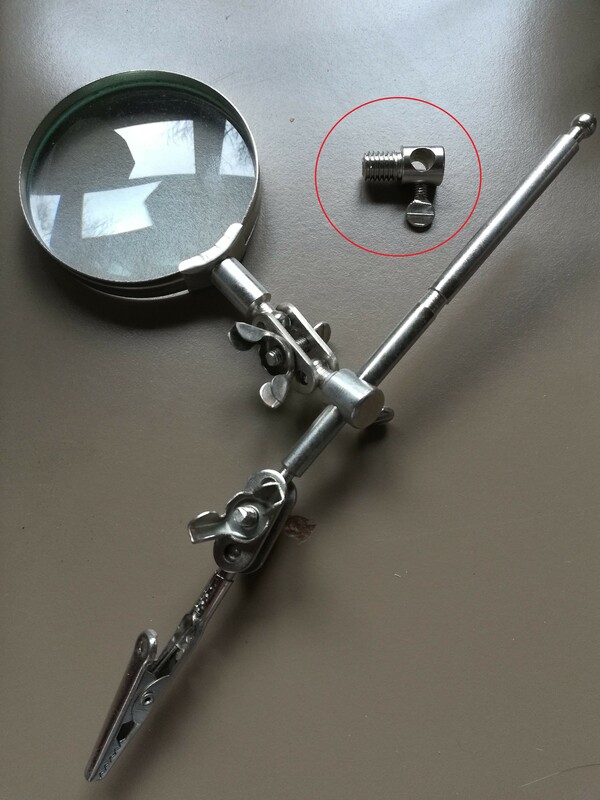 How is this screw head called? What is this screw called? What is this zip tie-like nail? What are these screws called? What brand is this screw? Is there any such thing as a rectangular tripod mount or something like that? What is this small triangle on this screw head?